A trip to the seaside can be a great adventure for all the family. However, don’t expect to lounge back and read a book in peace – your kids will want to stay active. When it comes to boys, there are plenty of ways to keep them happy by the sea. One way could be to take up a new sport together. Here are a few perfect seaside sports to do with your sun. For something cheap and simple, having a kick around on the beach could be the perfect answer. All you need is a football (you can use bags or jumpers as goal posts). This is great for any soccer loving kid – just be wary that on a sandy beach you could both be kicking sand at each other. 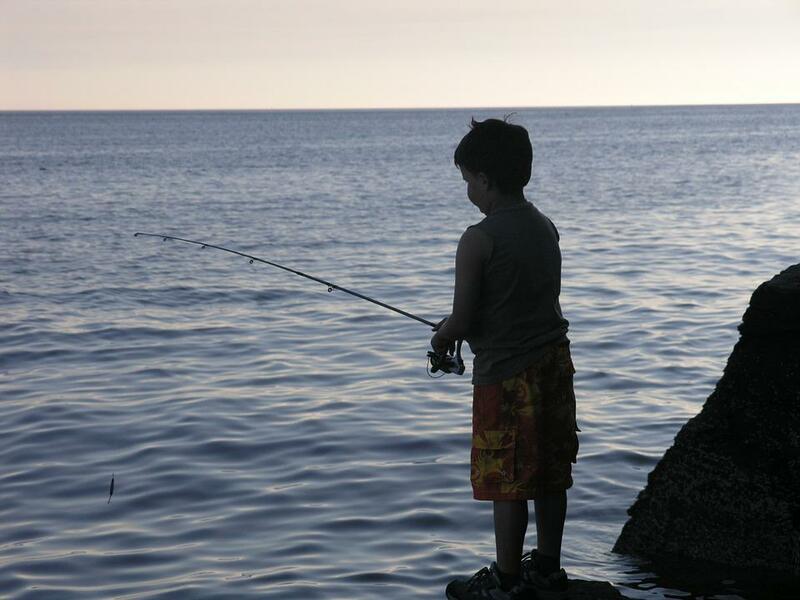 Fishing doesn’t require too much physical activity, but can be a great bonding activity. You can use a fishing rod or go line fishing on a boat with a professional. If you’re buying a rod, you won’t need anything too fancy. The Jarvis Walker Zenith Kit is a cheap and reliable rod specially designers for kids. For very young boys, going rockpool fishing with a net may be more appropriate. 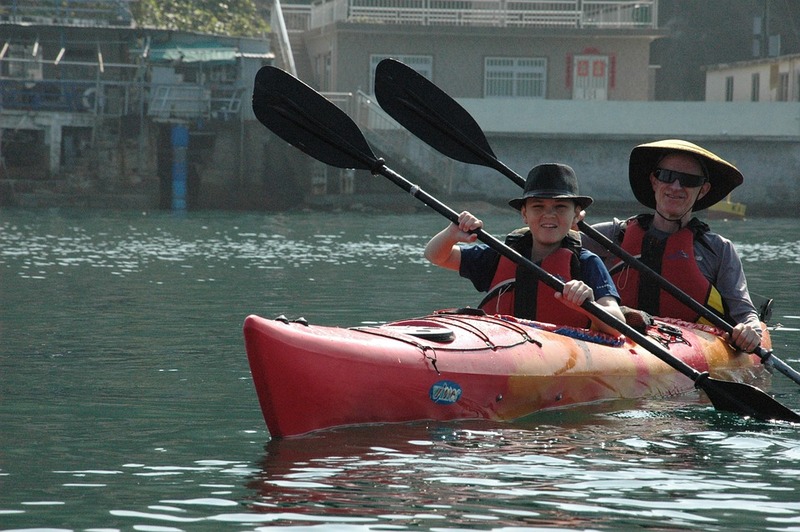 Most kids are certain to enjoy kayaking. You can explore the coastline via water and find caves and hidden beaches. Most coastlines will have guided tours, but you can do it alone. Kayaking can be an expensive hobby, so decide whether you really want to buy your own boat or whether renting would be easier. As this Intex Challenger K2 Kayak review proves, there are affordably solutions out there (an inflatable kayak such as this one may also be easier to take in the car). Adults should always accompany kids, and you’ll all need life jackets. If you’ve never tried surfing, now could be the time to give it a go. Bodyboarding is often the most child-friendly form of this sport and you should practice when the tide isn’t rough. For older boys, you may be able to graduate to full-on surfing. There are plenty of cheap foam boards online and you can often pick up boogie boards from local coastal shop for a few quid. For more professional boarding, make sure to look into sizes to make sure that you and your kid both have the best stability. Consider a wetsuit and life jacket too. Paddleboarding requires the balance of surfing but the paddling of kayaking making it a fun hybrid watersport. It’s more appropriate for calm waters making it also more appropriate to take up with children. You can buy boards and paddles online. There are even boards for two, which could be ideal if you want to keep close tabs on your son. Life jackets are also recommended when partaking in this activity, as well as wetsuits if the weather is cold.